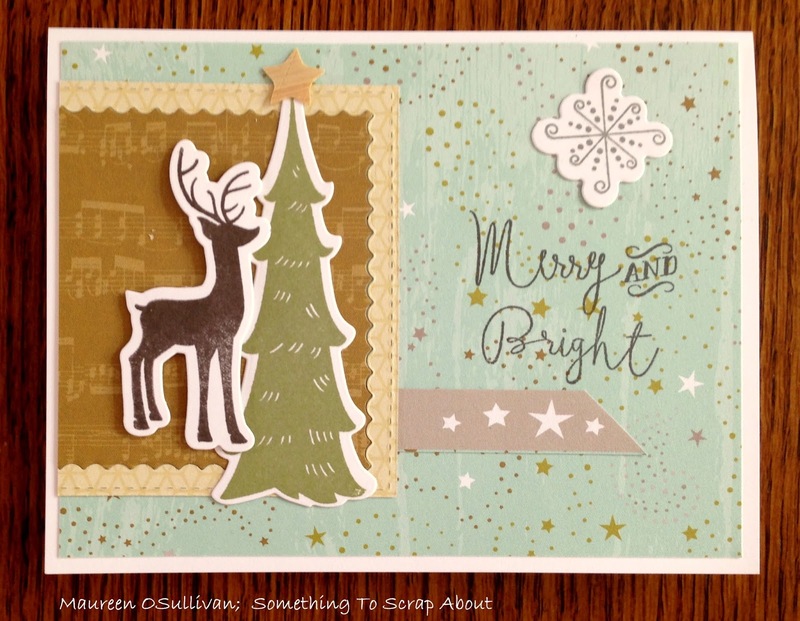 For my first batch of Christmas cards, I choose to work with the "Oh Deer" CTMH paper line. It's very warm and you can mix it up with a variety of colors. 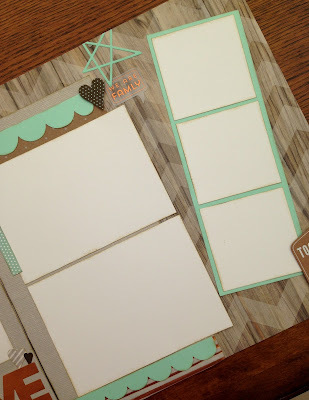 For these cards, I choose to add some Sea Glass cardstock-- what a surprise! For the first card, I used one of CTMH's die/stamp sets. 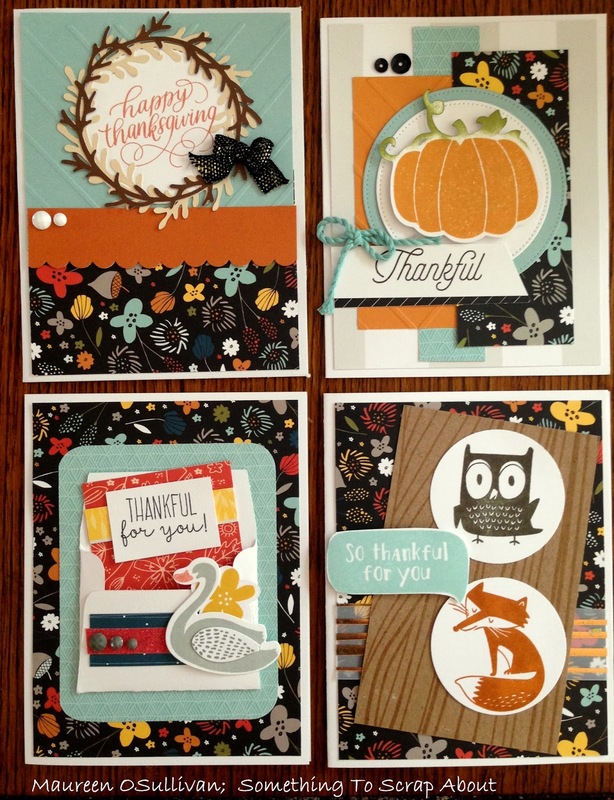 These die/stamp sets are a bargain at only $26.95! The stamp is called Woodland Wishes. 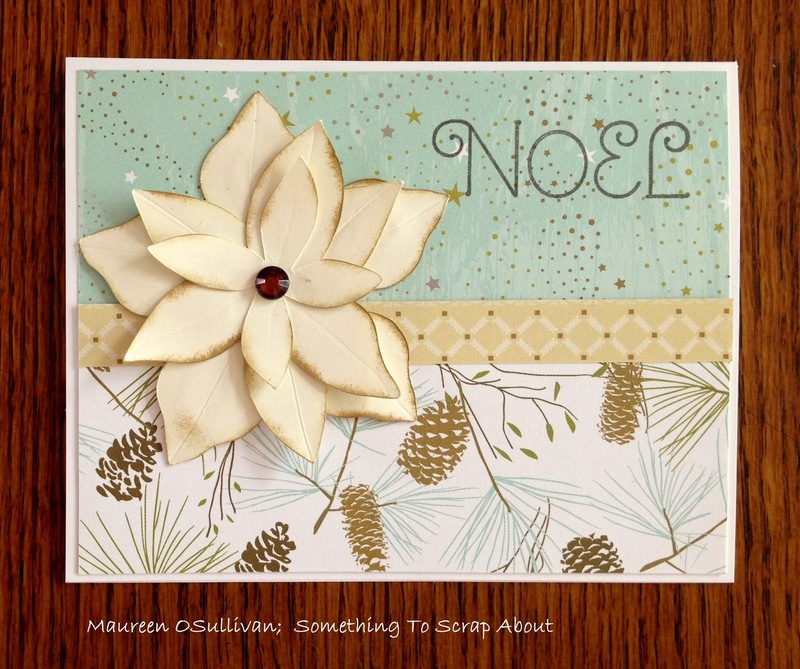 For the second card, I cut out a beige Poinsettia from CTMH's new Flower Market Cricut cartridge. And, boy was this easy. I simply set the size at 3 inches and it cut the largest section at 3 inches and then cut the remaining pieces in smaller dimensions. There was no need for me to cut one at 3 inches, one at 2.5 inches, and one at 2 inches etc. 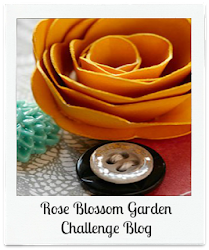 It cut the entire group to fit this particular flower-- so simple! 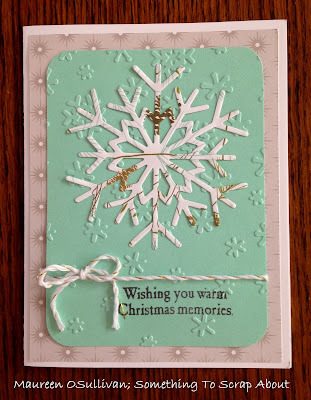 For the third and fifth card, I used CTMH's snowflake dies. 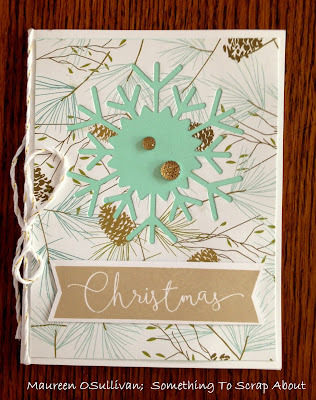 I simple cut out snowflake and backed it on what color cardstock? Sea Glass. Okay you are awake. 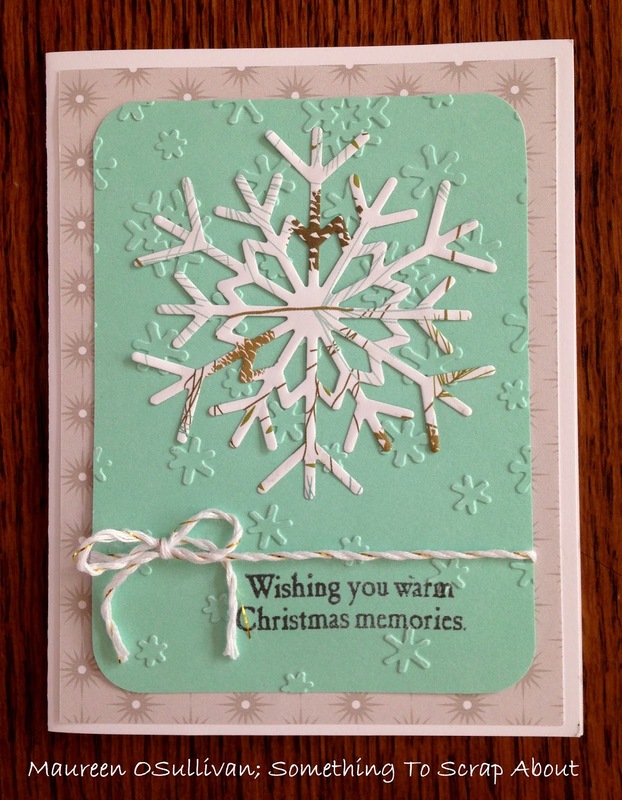 I then took the actual snowflake and made the fifth card. Okay, so we used dies and the cricut. Now it is time to break out the scissors and fuzzy cut!! 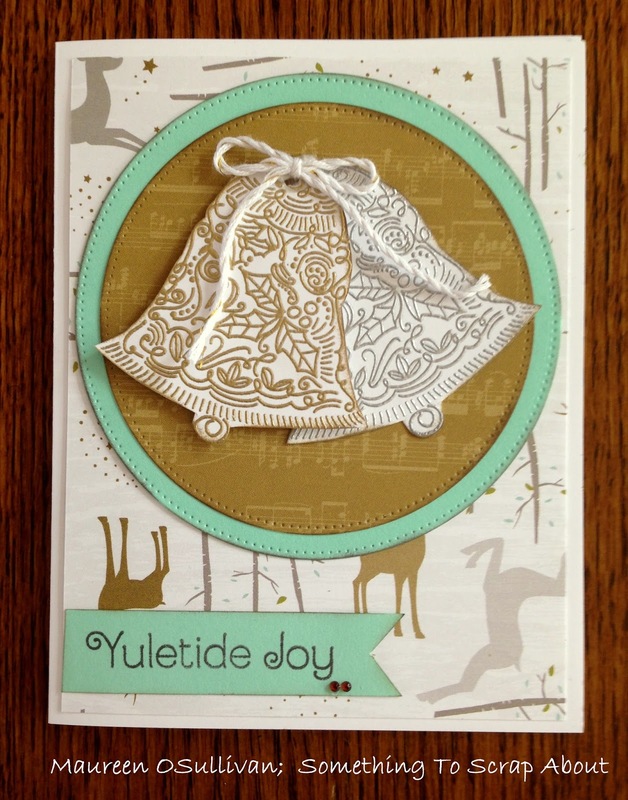 The October SOTM had other images that could be cut on the Cricut, but I wanted to stamp and emboss these beautiful bells. The Oh Deer paper line contains both silver and gold and I thought the embossed gold and silver bells would be perfect. If you would like to order a set of these cards, then please see tab on kits. Also, see tab on kits if you would like to take this class at the Nov 5th crop in Norwell, MA. Hello there. I don't know about you, but I feel fall slipping away:( November is next week and it often symbolizes the start of the Christmas holidays. Well, I'm here to stretch out fall a bit more! Here is a card I demonstrated at our last crop. I decided to combine both the Autumn Wishes (Hey You Pumpkin) Stamp and the September SOTM. Both of the pumpkins were cut using the CTMH Artbooking Cricut cartridge. 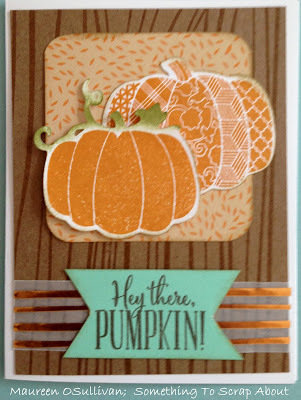 To stamp the pumpkins, I used Goldrush ink and Cocoa to stamp the sentiment. Fern ink was used to daub the pumpkin leaves and stem. Thanks for stopping by. I hope you enjoyed this card. Hello, tomorrow I have the pleasure of teaching a scrapbooking class in Boston. I met my friend Tamika at work. I'll never forget the day I entered her office and noticed a card on her desk. The card was hand-made and the paper line was Basic Grey, one of my favorites. I said is that paper from Basic Grey? And Tamika replied yes. The rest was history... we started talking from card-making to scrapbooking to paper lines to machines to LOs to blogs to design teams and so on. 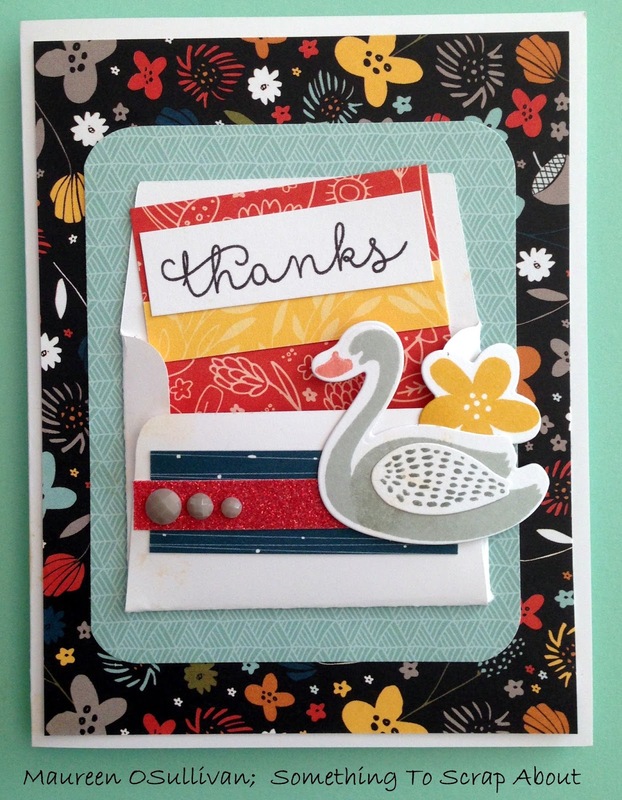 When you have a passion for crafting you just love when you meet others who share this passion. And you want to share this passion with new people too. For the class, I chose to use the Rustic Fundamental paper line. I added in the new Sea-glass line to give it a soft punch of color. 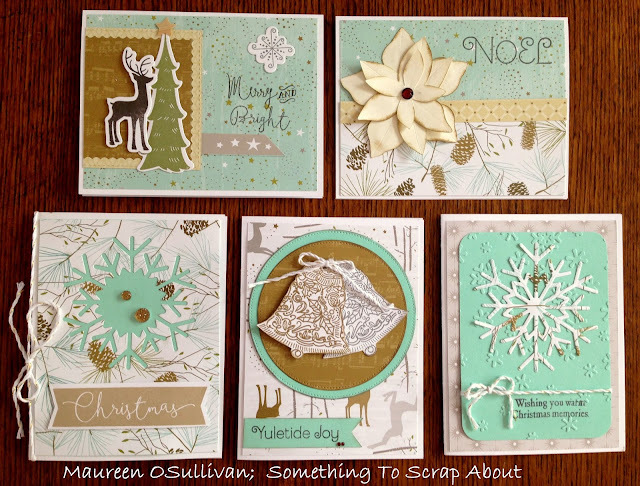 Eight crafters will be joining us tomorrow with varying degrees of skill. Thus I kept the first LO on the simple side. 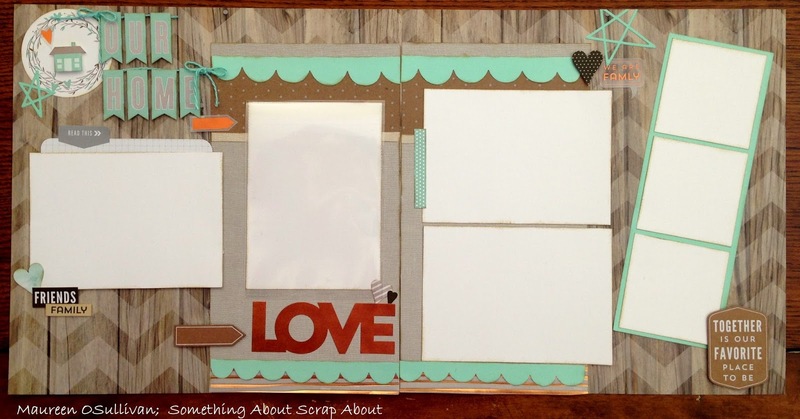 I added a hidden journaling card and 1 4X6 Flip/Flap (above the word LOVE). Popping up the words OUR HOME and inking all edges highlights the elements. 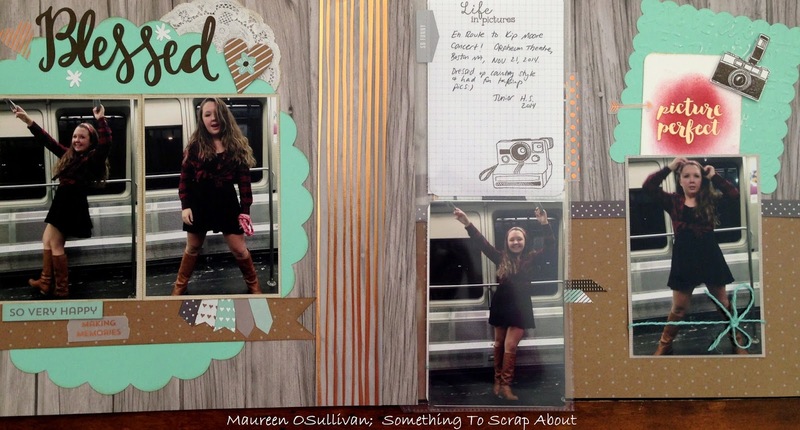 To add space for more pictures, I created a film strip. This strip can hold 3 3X3 pics. For the second LO, I cut out some shapes using the Cricut Art Philosophy Cartridge, one of which I dry embossed. I also used CTMH's new 4X6 vertical Memory Protectors for pocket scrapbooking. 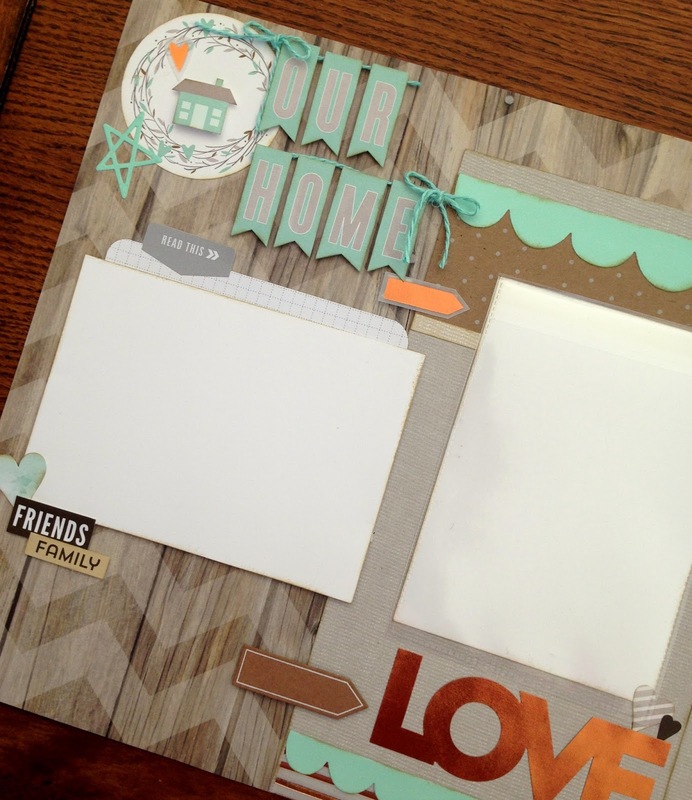 The Memory Protectors not only let you add more pictures, but also let you add more space for creativity/design. Here is the second side of the Memory Protector. 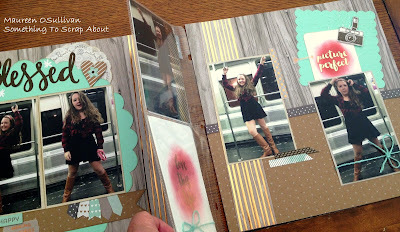 I added a Journaling tab and stamped a camera since my daughter was posing so much! You may notice those gold accents with red coloring. 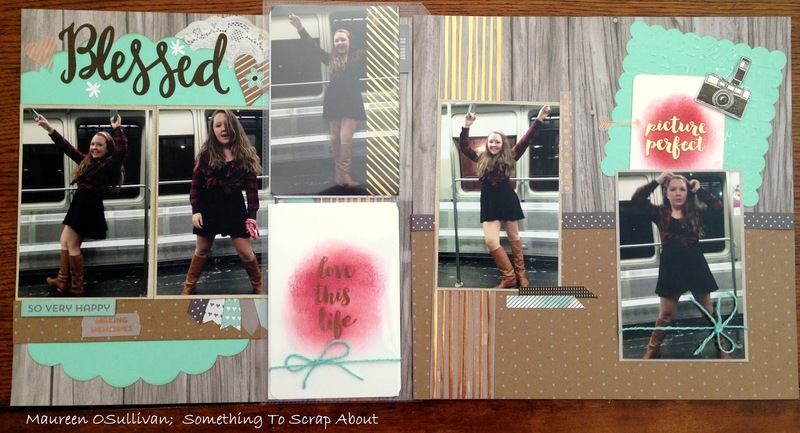 I used the CTMH Picture my Life Cards and inked them in Ruby and Cranberry to bring out the red in her outfit. 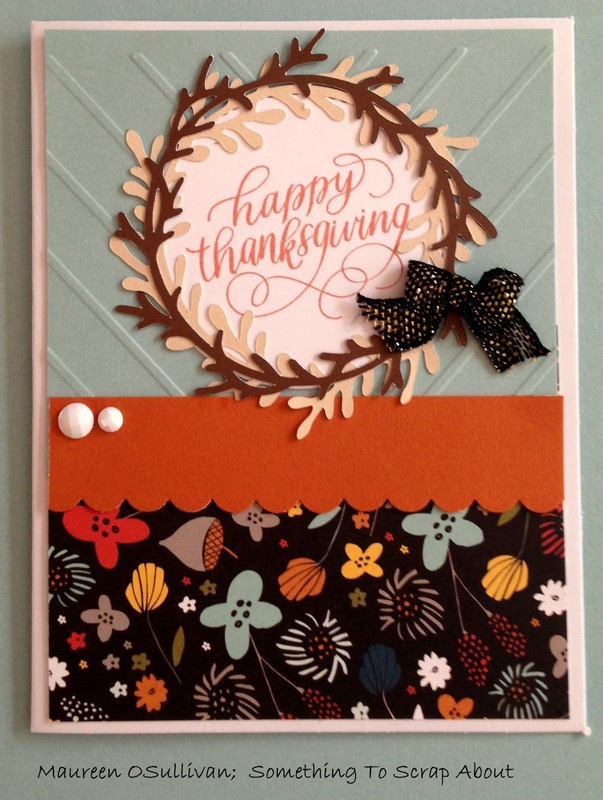 I still have extra paper left over from this kit and will quickly make up some Fall cards to teach as well. I hope the crafters enjoy learning some new techniques tomorrow! If you are interested in purchasing this kit, then please let me know. 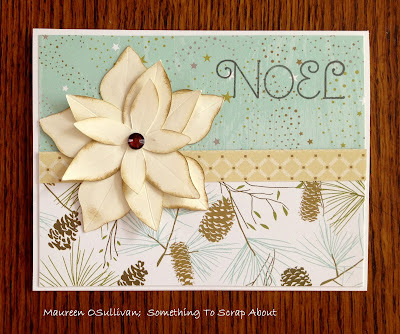 I will be teaching this class at the November 5th crop in Norwell as well. Hello and happy October! 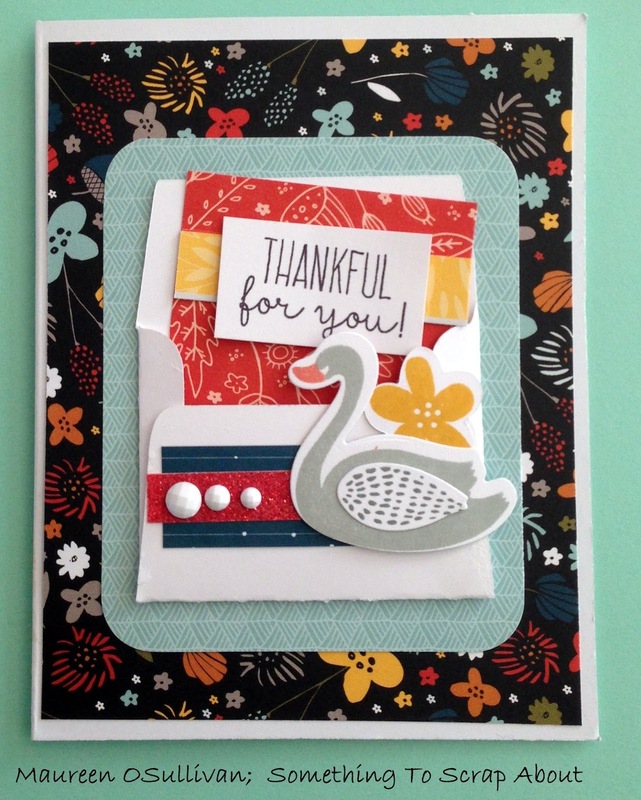 I'm getting ready for my card class on October 22nd and wanted to use our new stamp, with coordinating dies, called Thankful For You. Below, is the first card. 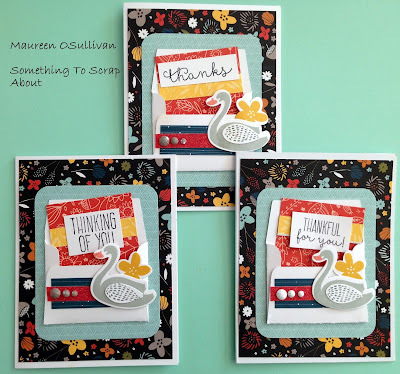 I was inspired by a design from a fellow CTMH consultant. I cut the 2 inch envelope from the CTMH Artfully Sent Cartridge. The CTMH Artfully Sent Cartridge is now discontinued, but luckily I still have 2 cartridges if you'd like to purchase one. 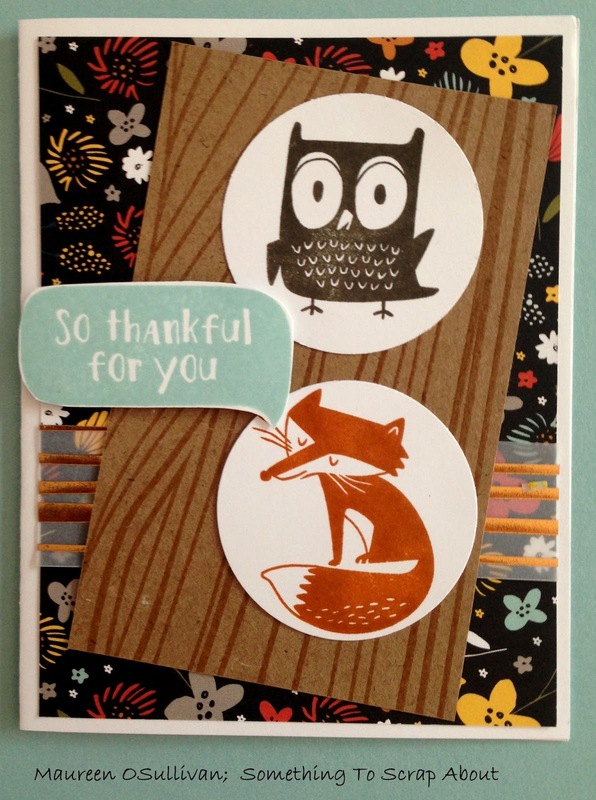 For the second card, I just changed out the sentiment. 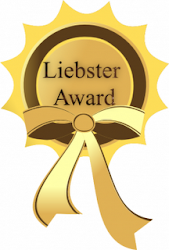 I have a friend who just lost her best friend. 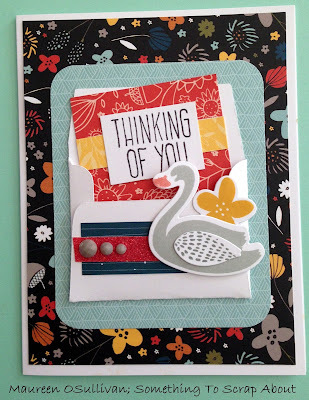 I hope this card brightens her day. We all have so much to be thankful for and always need more thank you cards for our stash. 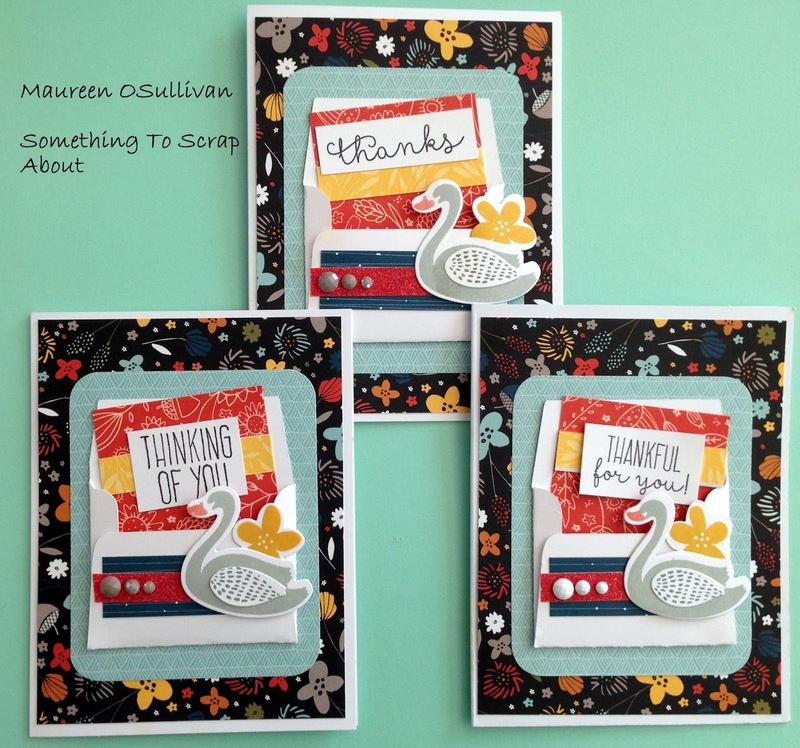 Here are all 3 cards, with all 3 sentiments. 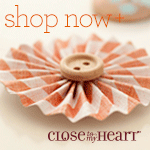 They are perfect for Fall and any time of year! The colors are vibrant.